Nipsey Hussle’s fans who packed into Staples Center at his celebration of life are trying to make a quick profit off the service. People have been caught selling their free programs for hundreds of dollars. 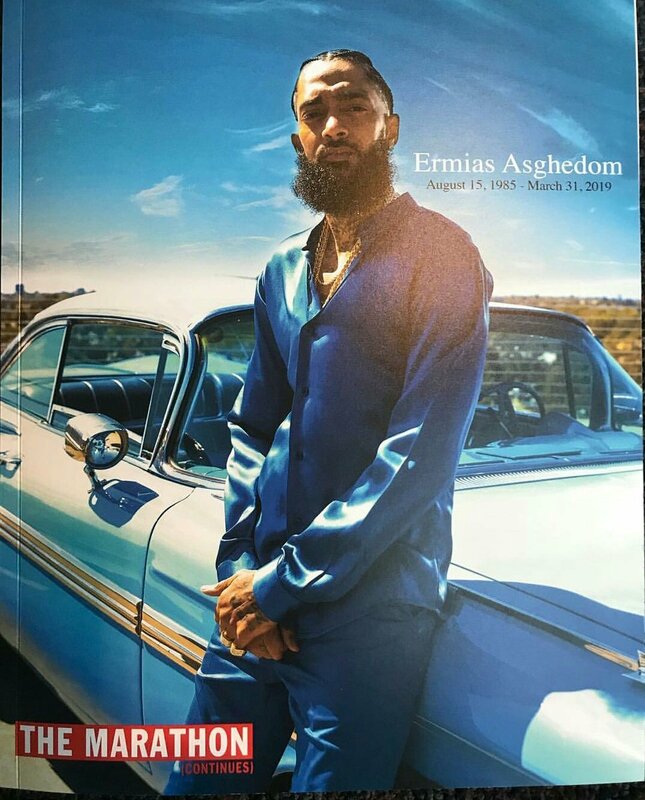 Tons of programs from Nipsey’s memorial started flooding eBay not even hours after the service ended. There are even some sellers asking for more than $1,000. One auction ending last week closed at $500 for the piece of history. Sources at eBay are assuring that all the programs will be removed. They will educate the sellers who have listed them on their policy for sales, specifically their guidelines on profiting off of a tragedy. To combat this, eBay issued a statement to the website to reassure consumers that this action is prohibited, indefinitely. Craigslist has also prohibited the sale of tickets to the memorial service, which was held at the Staples Center in Los Angeles. Remember, tickets to the Celebration of Life were distributed at no cost. The booklets passed out at the service were also free. That’s how Nipsey’s family wanted it that way so these sellers are turning huge profits off the slain Crenshaw rapper. It’s at least the second time we’ve seen folks try to use Nipsey’s memorial to cash in. First were the scalpers that tried to sell the free tickets for astronomical prices before getting shut down. Nipsey was remembered as a great man, talented rapper and savvy businessman during his memorial. LA is commemorating the rapper in many ways. This includes a basketball court and street named after him. On March 31, a 33-year-old Nipsey Hussle was fatally shot by Eric Holder. Holder has been detained and remains in custody. The “Slauson” rapper was shot six times outside of his Marathon Clothing store in South Los Angeles. Holder faces charges of possession of a weapon as a felon, murder, and attempted murder.